The newspapers were sent out to design, advertising, and publishing agencies all over to keep clients up to date with recent projects. We imagine such a well-made and, yes, handsome newspaper was a welcome delivery. 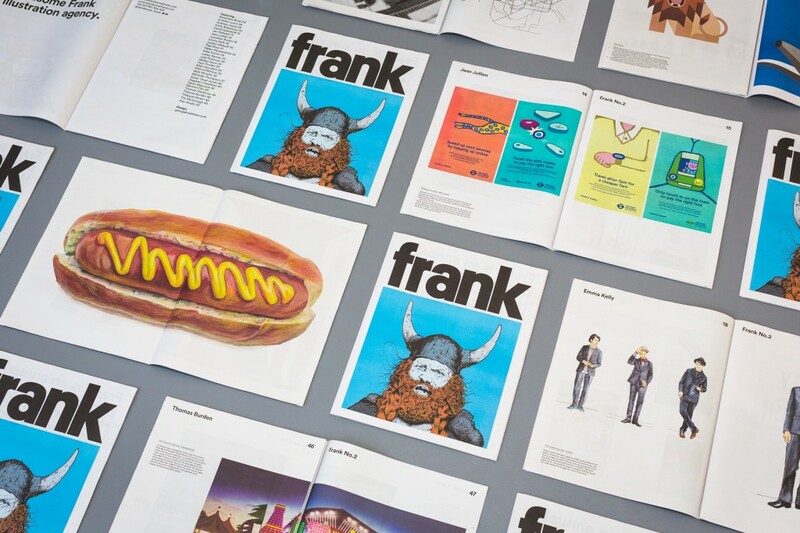 "Frank is the newly re-designed annual newspaper from Handsome Frank illustration agency. The paper is a round up of our favourite projects from the past year. It showcases one piece of work by each of our hugely talented thirty illustrators and shows the wide range of commissions and clients we’ve been lucky enough to work with over the past twelve months." "Collating everything together in one printed publication is a great way to demonstrate the variety and breadth of commercial projects we work on, and the diverse talents on ours books. Our clients are predominantly in the advertising and design sector and the papers have been widely distributed to agencies both her in the UK and in the US." "The paper was designed by George Bradshaw who did a superb job and we owe a special thank you to Tim McDonagh who provided the cover art (originally commissioned by the Sunday Times magazine)." 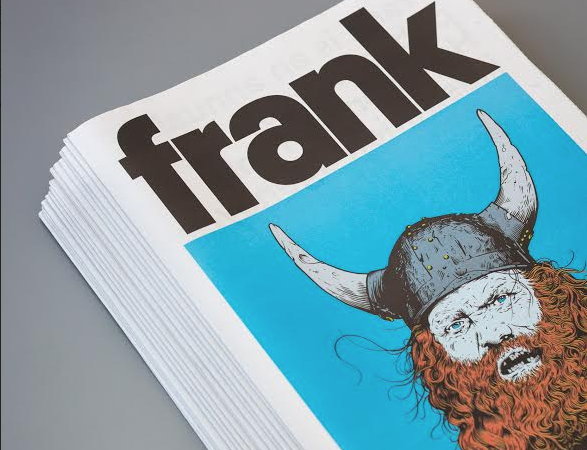 If you enjoy good illustration, it's worth keeping up with Handsome Frank on Twitter. We also recommend watching the lovely series of little films about some of the illustrators they represent. Thanks for printing with us!